Embroidery Transfer Pen. Draw or trace your design onto fabric then simply stitch over the lines. 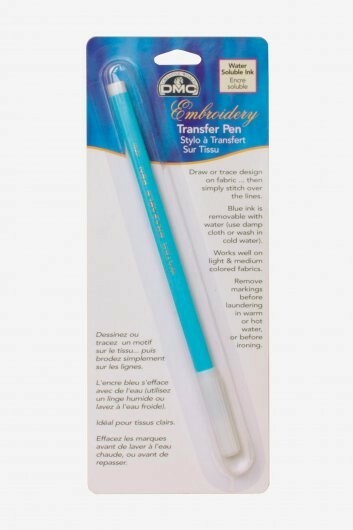 Blue ink is removable with water - use a damp cloth or wash in cold water.